Did you know that approximately 15,000 house fires occur every year due to lack of regular dryer duct cleaning? Dryers are extremely useful appliances, but they produce large amounts of hot air that has to be released through a simple, but effective exhaust system. In order for this system to operate optimally, it has to be well designed and installed and cleaned on a regular basis. Get practical advice on how to protect it from all dangers, so that you can have a safe home and an adequately working dryer. The first and foremost thing to do is ensure that the system has all the right components. Your duct choice should be based on a set of factors including strength, durability, flexibility, inflammability and surface smoothness. There is no duct that can get the highest score in all of these categories, but there are some which are more important than others. You have to ensure that the material is not flammable, so that if a fire starts it will be contained as best as possible. A smooth internal surface will reduce the rate of lint building up and consequently the risk of fire. Still, this does not eliminate the need for regular air duct cleaning. Only the frequency of the cleaning is reduced. The other major component of the ventilation system is the vent hood, which is set on the outside end of the duct. It has several important roles. It works to prevent backdrafts which can lower the efficiency of the dryer and it also prevents pest and debris from getting into the duct. You have to ensure that the hood will perform all of these tasks excellently. It is a good idea to opt for a model which has both a cap and a mesh cover, which keeps small insects and vegetation debris out; extra points if the hood is made from a weather-resistant material. Aluminum is an excellent choice followed by galvanized steel. If you decide to settle down for a plastic hood, you have to confirm that it is UV damage resistant. Otherwise, you may require dryer vent repair and replacement more frequently. The design of the exhaust system is also important for its effectiveness and safety. The shorter it is the better. This will speed up the release of hot air and much less lint will be accumulated inside. You have to take care for all components to be securely set up. The duct must not be compressed by external objects in any way. When it comes to maintenance, the exhaust system must include thorough inspection of all visible components and full dryer vent cleaning. If there are damaged or malfunctioning components, they have to be fixed or replaced right away. Choosing the right materials for your dryer ducts is just as important as proper maintenance. 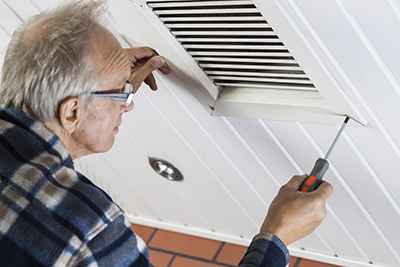 If you happen to encounter any issues with this appliance, our expert technicians from Air Duct Cleaning Oakland will be happy to come to your rescue.